It was such a blast getting hang out downtown with these two cuties! 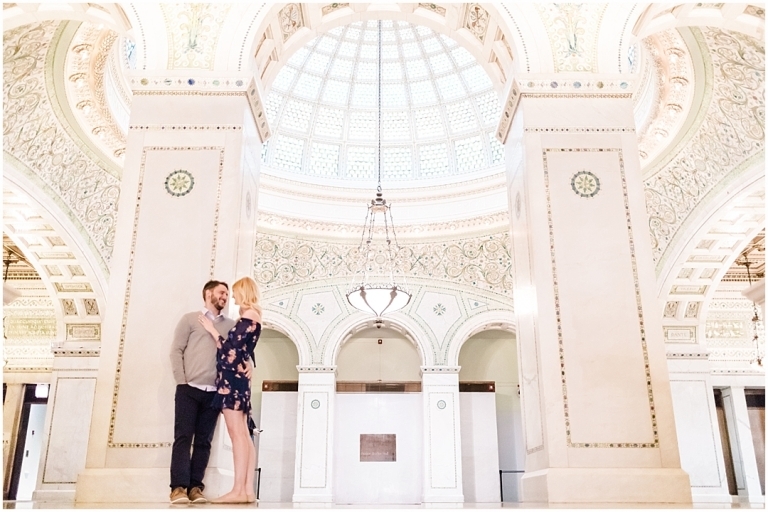 Their love for each other truly radiates and you can tell how excited they are to get married later this year just by talking to them. 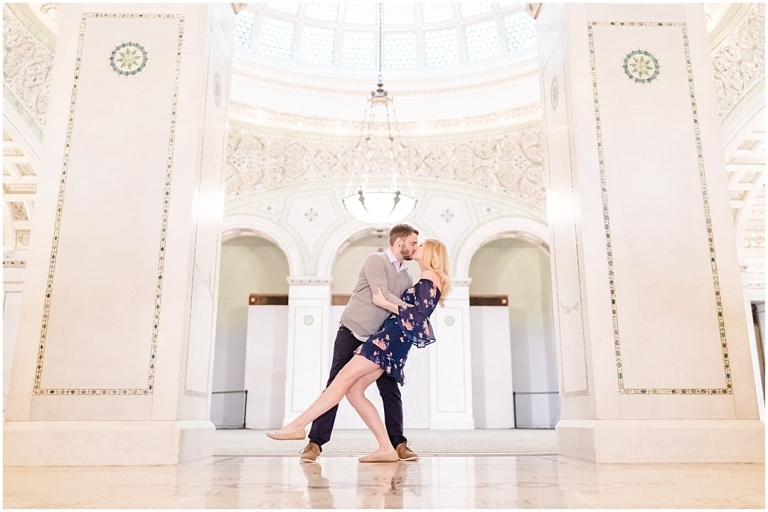 I was so excited when Melissa called and said she wanted to do their engagement photos at the Chicago Cultural Center because it’s such a gorgeous backdrop! I know their wedding is going to be equally stunning this fall and I can’t wait until then.